The United Kingdom has an Advertising Standards Authority called the ASA. A ten-year-old child saw an advert for Saw 3D. The advertisement was a typically gross Saw trailer and ran at eight something at night, a time when children are still awake. The BBC reports that the child complained to the ASA that the Saw material was “distressing” and “inappropriately scheduled”. 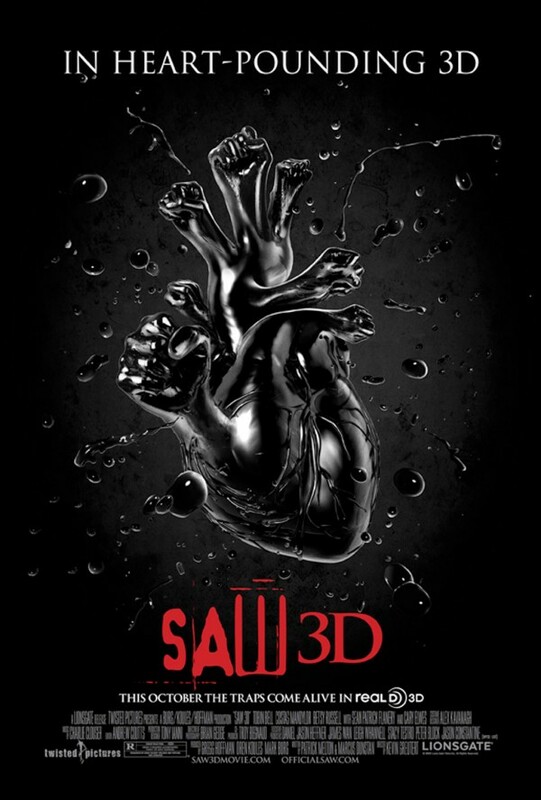 A lot of horror fans are up in arms over the idea that Saw 3D is going to have to run their ads later at night in England now. Really though, Saw has been somehow getting away with running inappropriate ads in places no one else has, would, or probably should get away with it for ages. Maybe it was just about time. Let’s face it, we went with the slick black poster to illustrate this article, but the other option was a severed leg and anyone who has attended Comic Con this decade knows that Lionsgate and Saw is not shy about putting that stuff up on public posters hanging from the ceiling.